I’ve been home from work for two days, sick to my stomach. I don’t know if I have a virus or if it is just my nerves and anxiety. Either way, I feel like total poo. I’ve done nothing but sleep. I just took a shower (at noon on day 2) and I feel shaky and worn out. I tried to do a little house cleaning (because no one else in this house ever picks up the slack when I am sick) but I’m too shaky for that right now. Maybe later I will feel like it. So here I am, back to writing. My dogs curled up against me just as they always are when they sense I am down. Other than the dogs, I am home alone. The weather is gentle today and I have the blinds open so I can see the world. Pandora (radio) is off, as is the television, so it is quiet. I’m trying to give myself a little peace so that I can get my thoughts together. I’ve thought, in between dreaming, of the comments from my post yesterday. You are all such great people to give a complete stranger (one who is bonkers on top of that :D) such thoughtful responses. It is so easy to get lost in the everydayness of my life. When I put my bald thoughts (I call them bald because I write straight from my heart, no holding back, no editing) down for you to see, you respond with kindness, and love, and empathy. I am showing you, people I don’t even know, the darkest corners of my blackest heart, and you are NICE to me. That is the most incredible gift. And you give me much to think about. There are parts of my heart that feel wholesome and good. I can see that part of me at times and it feels…right. Other times I cannot see through the murky darkness and it is as if my very soul is black. I watch the nightly news and it bothers me when I see the damage that humans are capable of doing to one another…I am afraid that in my blackest corner I am capable of those same horrors. Don’t get me wrong, I don’t ever think of hurting others, but I am a damaged human and so are those who commit the horrors, therefore….you see where I am going. And I know, I know, I can hear my logic professor (and many of you) screaming “Faulty logic!!”. It’s just how my mind works. I see these people who murder or steal or hurt others and I know they are making bad choices just as I am. Mine are not THAT bad, of course, but that is just shades of grey (not the book). My choices are still hurtful to some, but mostly to myself because I am so aware of it. I am very aware of my faults and shortcomings but have trouble seeing the good in me. When I look in the mirror, I see the ugliness inside. I am a constant work in progress. I am becoming who I am. This I know. Now it is time to take those baby steps to change. This is the next part of my journey. I began my blog, Rainey Daze and Crazy Nights, in July of 2010. It started as a way for me to let off steam while dealing with my oldest daughter’s multiple diagnoses of bipolar, eating disorder, anxiety, OCD, and ADD. I wrote a whopping thirteen times that year, then only two times in 2011. At that time, I didn’t write enough to find my voice or my fellow bloggers. Then in January of this year, I began to write again. I felt like I needed to say so many things, and not just about my daughter. This time, writing meant much more and seemed so personal; I honestly don’t know how to explain it, but words began to pour from me in poems, stories, and ramblings. I had so much I needed to write….and it felt GREAT! Blogging made me see that I, too am suffering with mental issues; I’ve always been so busy taking care of everyone else in my life I didn’t allow myself to see my own afflictions. After blogging, I could read back over what I had written. It made me take more notice of my ups and downs and realized I might need professional help. I saw my doctor and will soon see a specialist due to the encouragement of the blogging community. Next came something so amazing, so astonishing, I still can’t believe it: other bloggers began to like my words and started following my blog! That is such an incredible gift. When I have a bad day and one of my blogging buddies responds with words of wisdom BECAUSE THEY HAVE BEEN THERE, it means the world to me. It also feels great when I have a good day and I can cheer up a blogging friend! I am no one special. I’ve not done anything extraordinary in my life. I am just an America gal leading an American life. Yet I now have friends all over the globe, thanks to blogging. We are all just brothers and sisters living and growing in our little corners of the world. We all struggle, we all have victories, and we all need other humans with which to interact. Blogging strips away the outer shells we normally show the world and allows us to expose our inner selves. And you know what? It feels good to share secrets from the depths of our hearts and to have it accepted by others. It feels damn good. So this post is for you, my fellow bloggers. I hold a glass of wine (really, it is Pepsi, but we can pretend) up to you and say, “Cheers! Here’s to friendship and understanding!” Because it doesn’t really matter that we have never met, and probably never will. True friends are there when you need them. Thanks for being there for me. 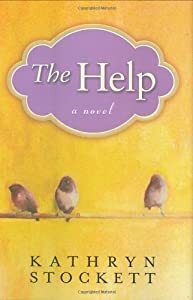 Last year, I read the book, “The Help” and then saw the movie by the same name. As usual, I liked the book best, but that is because I am a reader. The movie was great and stuck closely to the book, so I highly recommend both. The quote above was said by Aibileen Clark, a black maid/nanny to Mae Mobley, her small white charge. Aibileen repeated those words to Mae Mobley daily to help make up for the fact that her own mother couldn’t be bothered with her. It is my favorite quote because it is so simple, and yet, so right. Imagine if every day someone said these words to you, and they meant it. Imagine hearing these words every single day since you were a small child. Would it change things? Would hearing these words help to override the negative voice inside your own head? My own mother did the best she could. I am sure she said some positive things to me along the roads of my childhood. She is not an affectionate person, so I don’t remember hugs, kisses, or her even saying that she loved me. In her mind, it was understood. In my mind, I felt unloveable, and that feeling haunts me to this day. The words I remember, like many of us, are the negative ones. Would things be different if she had repeated heartfelt words of encouragement daily? Or am I just a person destined to feel unworthy of real love? I don’t know the answers, but if you have young children, it couldn’t hurt to try. Look at your child each day and try to give some affirmation of real love. Maybe, just maybe, those words will sink in and change your child’s world. wanting, needing, devouring my very soul.